“Since the change in administration, Governor Bruce Rauner has made it known he has no problem slashing state programs or benefits for state workers. At today’s budget address, we heard a lot about what he’s taking away from the people of Illinois. Cuts to Medicaid, cuts to education funding, cuts to public transit funding, cuts to critical public health programs, cuts to housing services, cuts to aid for military families, cuts to agriculture and yes, deep cuts to public employee pensions. it’s certainly not with the workers who keep this state running. These cuts come as a slap in the face to Illinois workers, to union members and to middle class families across the state. The state has failed the people over the years with poor fiscal management, but the answer is not to balance the budget on the backs of working families. 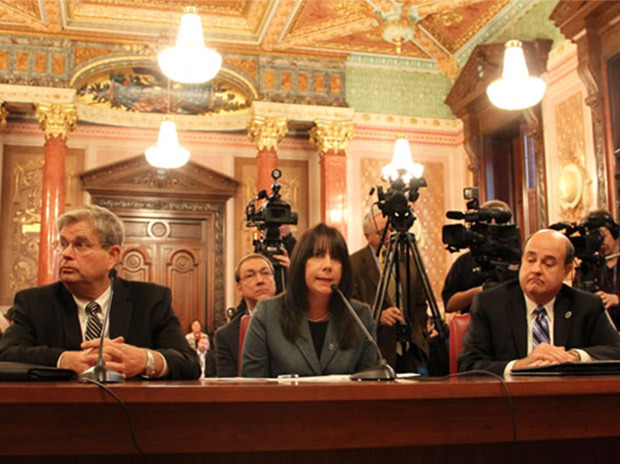 is quick to strip away programs that benefit all of Illinois residents.